7,738 sqft lot backing on to Mundy Park - Arguably one of the nicest locations in Central Coquitlam. 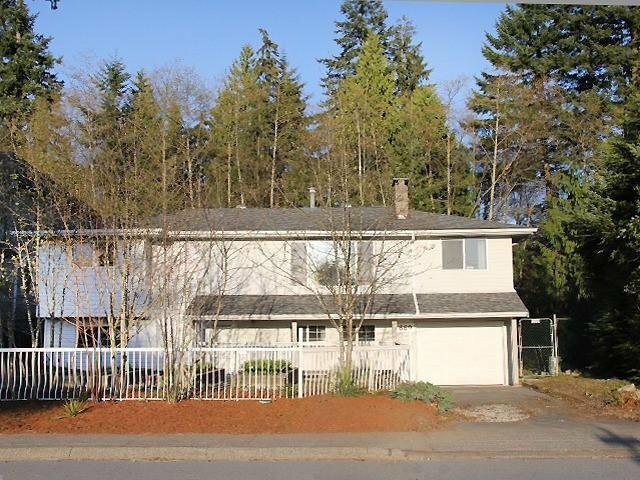 Large 2,455 sqft home is ready for your renovation ideas. There's lots to do but the house has great bones & has had some quality updates including a high efficiency furnace in 2014, hot water tank in 2012, gas fireplaces, vinyl siding & windows & a professional, main floor addition. The yard is fully fenced w/professional greenhouse plus there's lots of room for double wide driveway with access to rear yard for pool/shop, etc. Very desirable neighbourhood, close to all levels of schools, Poirier Rec Centre & of course the beautiful Mundy Park with miles of walking trails. 10 minutes to Hwy 1, Skytrain & Coquitlam Centre.